While we were away on holiday, the biggest of our broccolini plants bolted to seed. As you can see above, it’s quite a sight! This seemed like an ideal opportunity to practice our seed saving for the first time. Reading up the Seed Savers Handbook, I discovered that broccoli is self-sterile. That is, you need bees to spread pollen between more than one plant for seeds to form. You then let the seeds form on the plant, cut the whole lot out, and let it dry inside. In this case, my timing was a bit out. One plant was flowering profusely, while the others were still catching up. I’ve stopped harvesting the rest of the broccolini, and hopefully this will get enough plants flowering at the same time to generate some seeds. I’ll report back. 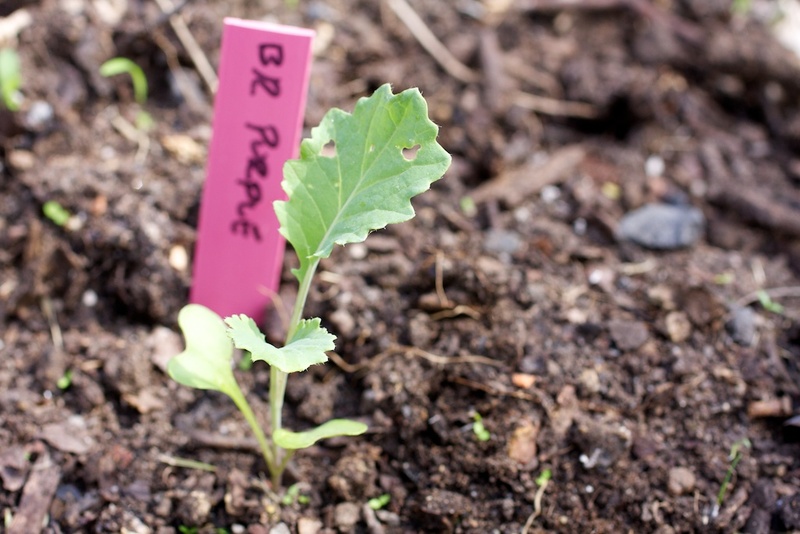 This entry was posted in Growing our own food and tagged broccoli, broccolini, seed saving, winter.